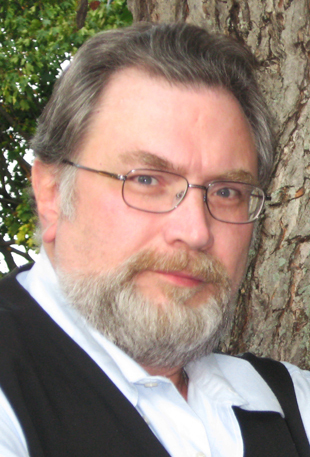 When it comes to churning out award winning stories in a plethora of genres New York Times best-selling author and multiple Bram Stoker Award-winner Jonathan Maberry is like a machine. With a bio of accomplishments so long and daunting it takes three pages to list those absolutely worth mentioning he's less like a flesh and blood human being and more like a dream factory cranked into overdrive. If he had a business card it would be the size of a billboard. Some of his credits include novelist, anthology editor, blogger, screenwriter, comic book writer, magazine feature writer, playwright, content creator, expert witness, teacher, lecturer, and last but not least a sought out authority on all things undead. He was named one of the Today's Top Ten Horror Writers - rightfully so. His books have been sold to more than two-dozen countries. His wildly popular young adult zombie series Rot and Ruin is being developed as you read this. It's fair to say that of all the things he's been called in his life, lazy isn't one of them. His Joe Ledger Series centers around a Baltimore detective assigned to a counterterrorism task force, recruited by an ultra-secret rapid response group called the Department of Military Science (DMS) to help stop a group of terrorists from releasing a dreadful bioweapon that can turn ordinary people into zombies. The first book Patient Zero was a runaway hit. Since then he's put out Dragon Factory, King of Plagues, Assassin's Code, and Extinction Machine - along with a string of short stories that feature the popular character. There is even talk of Joe crossing over into Jonathan's V-Wars series. His newest book in the series Code Zero just came out In March of this year from St. Martin's Griffin. Devan Sagliani: Let's jump right in. How did you come up with the idea for Joe Ledger? Jonathan Maberry: Joe began speaking in my head. That happens to writers. If you're not a writer, mind you, hearing voices is a cry for help. For us it's how characters sometimes announce themselves. I was sitting in a diner doing edits on a nonfiction book I was writing when two characters started having a conversation. It sounded interesting so I began jotting it down on a notepad. Over the next few days I began expanding on that scene until I knew who these guys were and what kind of story they were in. Joe Ledger is a former Baltimore cop who gets recruited by a covert government agency -the Department of Military Sciences (DMS)-to help stop a group of terrorists who are planning on launching a doomsday bioweapon. Joe is a little crazy and in a fight he is utterly ruthless; but at heart he's a damaged idealist and humanist. He's also funny as hell, which is weird, because he's funnier than I am. Not sure how that works. DS: What new surprises do you have in store for readers in Code Zero? JM: CODE ZERO is the sixth book of the Ledger series, but it's intended as a jumping-on point. It deals with a master criminal who is using the anarchist gamer subculture to help her crack the highest level security facilities. Basically she wants to steal all the bioweapons that Joe Ledger and the DMS have taken from the bad guys. Joe will encounter zombies, genetically-enhanced super-soldiers, killer pathogens and a terror campaign that brings America to its knees. DS: You've had a breathtaking career already, enough to leave any aspiring author both awestruck, inspired, and more than a little jealous. Tell us a little about your journey as an author. How did you get started writing? JM: I've always been interested in writing. Since I was a little kid. I sold my first magazine feature articles while I was at Temple University studying journalism. And I went on to sell over a thousand features and thousands of columns and reviews. I switched to mostly nonfiction book writing in the 1990s and wrote textbooks, how-to manuals, and mass-market books on subjects ranging from martial arts to the folklore of the supernatural. Then in 2004 I decided to try my hand at fiction. I'd never done that before and didn't know if I was going to like it...or if I'd be any good at it. But you don't know if you don't try. 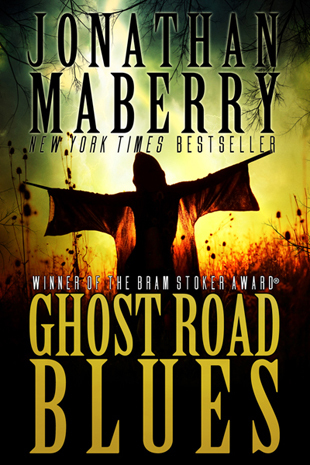 I wrote the first book of a proposed trilogy of American Gothic supernatural thrillers -GHOST ROAD BLUES. After fishing for an agent for awhile, I landed Sara Crowe, then of Trident Media. She was able to sell the book and its two sequels to Pinnacle Books. And I was off and running. I change genres a lot, so she took my next books -the Joe Ledger thrillers-to St. Martin's Griffin. Around the same time I was contacted by Universal Pictures to see if I wanted to novelize the Benecio Del Toro remake of THE WOLFMAN. I did, and that became my first New York Times bestseller. In 2008 the editor in chief of Marvel Comics called me. He'd read the first Ledger novel, PATIENT ZERO, and wanted to know if I'd like to try my hand at writing comics. I did, and I wrote a bunch of stuff for Marvel. In 2009 my agent, now with Harvey Klinger, Inc., pitched my first young adult novel to Simon & Schuster. They bought ROT & RUIN and three sequels. Since then it's gotten crazy. I write in a lot of genres and for a lot of publishers.